Dried, pulverized flower heads of two chrysanthemum species (also known as "pyrethrum") contain insecticides with nearly perfect toxicity profiles: highly toxic with respect to insects, but non-toxic to mammals. In this part, we look at how pyrethrins kill insects. Pyrethrins and pyrethroids are nerve poisons. Even if they fail to produce tissue damage, their impact is sure to prove devastating. By binding to protein channels, they disturb the formation and further transmission of electrical signals (action potentials; see Fig. 19, left), which serve as the basis for the conductivity of stimuli within the nervous system. Figure 19. As nerve poisons, pyrethroids disturb the formation and further transmission of electrical signals. In the resting state, a potential difference exists between the two sides of the cell membrane: ca. –70 mV, which arises due to differing Na+ and K+ concentrations on the two sides . On the outside, the Na+ concentration is high, whereas the K+concentration is low. Inside, the reverse is true. An external excitation of the neuron causes the sodium channels to open for ca. 0.1 ms, allowing Na+ ions to stream into the cell. This, in turn, causes the potential difference to fall (depolarization; see Fig. 19 left), and its sign actually reverses (an increase of 30 to 40 mV). The sodium channels then close, and the potassium channels simultaneously open. K+ ions then stream outward. The result is a repolarization, until the resting potential of –70 mV is once again achieved. This action potential "swishes", with velocities between 10 and 300 km/h, to the next neuron. In the case of continuous excitation, the process repeats after a few milliseconds, causing the neuron to "fire" as often as 100 times per second [69,70]. Treatment of an isolated frog neuron with allethrin (17; a synthetic pyrethroid) results in multiple, uncontrolled action potentials (see Fig. 19 bottom right, normal reaction pictured top right). Such neuronal hyperactivity leads to involuntary, rapidly repeating contractions of opposing muscle groups ("tremor syndrome"). This trembling is caused by the binding of allethrin to the sodium channels. These proteins are the site of attack for numerous toxins from nature's "poison chest": among others, aconitine (monk's hood or wolf's bane), batrachotoxin (dart-poison frogs), tetrodotoxin (pufferfish), brevetoxin, and ciguatoxin (algal poisons of dinoflagellates), delphinium (larkspur), grayanotoxin (Rhododendron ponticum), as well as diverse highly toxic peptides from rock snails, scorpions, and spiders. Pyrethroids have their own unique binding sites, at which DDT (9) also docks. This explains why various insects, after ingesting DDT or pyrethroids display the same symptoms, and why DDT-resistant mosquitoes are also less sensitive to pyrethroids (cross-resistance). The sodium channels in insects differ from those in mammals, but the great sensitivity difference with respect to pyrethroids is still astonishing. Insect sodium channels react 100 times more sensitively to pyrethroids relative than those in rats . Yuzhe Du and coworkers discussed one possible explanation in 2013. They discovered a second (!) binding site in the sodium channels of insects to which pyrethroids attach —a second site that is absent in the case of mammals. Despite these sensitivity differences, at high doses, the symptoms associated with poisoning are similar for insects and mammals. But in the case of mammals, this is true only for intravenous administration. Whereas the LD50‐values for intravenous delivery to rats are on the order of 1 mg/kg body weight , these increase to above 500 mg/kg body weight for oral administration. Some pyrethroids are less toxic even than table salt (LD50 = 3,000 mg/kg body weight) (see Tab. 4 in Part 4). Since the amino-acid sequences of the sodium channels for humans and rats coincide to an extent greater than 95 %, one should anticipate a similar toxicological activity. In general, with normal application, pyrethroids are not acutely toxic with respect to humans, and are, thus, quite safe. Over decades of intensive use, instances of poisoning have been extremely rare , so that Staudinger and Ružička's naïve, bold assumption from 1924 was fortunately confirmed: "The pyrethrins apparently display little toxicity with respect to warm-blooded creatures. At least in our years-long efforts, we have observed no instances of harm. Nevertheless, the toxic effects in these species should continue to be investigated extensively." The great difference in toxicity between intravenous and oral administration suggests a rapid degradation in mammalian organisms. Pyrethrins and pyrethroids are degraded largely through hydrolysis and oxidation, whereby the latter route is especially significant. The essential cytochrome P450 (CYP) enzyme systems are localized primarily in the liver. They form a "superfamily" of heme proteins which catalyze the incorporation of an oxygen atom (monooxygenases) into nonpolar C–H bonds, i.e., the transformation of C–H into C–OH. The primary oxidative attacks, catalyzed by CYP450, occur simultaneously and independently of one another at four reactive centers (one double bond, two CH3‐ and one CH2‐group, indicated in Fig. 20 by red dots). Hydrolysis of the central ester group by esterases leads to inactive alcohols and carboxylic acids, which are further oxidatively degraded independently of one another. The resulting hydroxylated degradation products are more polar, and thus more water soluble, and can, therefore, be eliminated more readily via the kidneys. 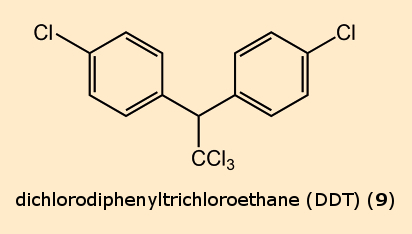 Figure 20 illustrates this using the example of the oxidative metabolism of natural pyrethrin cinerin I (10). Figure 20. Hydrolytic and oxidative metabolism of cinerin I (10). The unwelcome metabolism of the pyrethrins occurs relatively rapidly within the body of the insects, as becomes quite evident. After the rapid initial "knock-down" effect, the insects recover after a while, prior to the onset of lethal consequences. It is at this point that synergists take effect, in that they block oxidative metabolism by the essential catalyst cytochrome P450. A metabolite of piperonyl butoxide (PBO) blocks the central iron atom of the porphyrin ring in the heme pigment in the cytochrome P450 enzyme complex. In an unusual reaction sequence (see Fig. 21), following the abstraction of two hydrogen atoms, a carbene-heme complex is formed, which binds to the reactive center of the enzyme. This reaction mechanism is supported by isotope labeling and model studies [74,75]. The resulting retardation of pyrethrin metabolism significantly increases its lethal effect (see Tab. 2 in Part 2). Figure 21. The synergist piperonyl butoxide (PBO) and the cytochrome P450 (CYP) insect enzyme system. With a physiologically highly effective substance class like the pyrethrins and pyrethroids, we could hardly anticipate that the members would prove lethal exclusively to insect species that we define as pests. Broad-band insecticides inevitably kill all sorts of insects. In household and garden applications, we are generally concerned with a single insect, such as the honey bee (Apis mellifera) . Also endangered are domestic cats, who cam eliminate pyrethrins and other exogenous materials only very slowly due to the absence of a specific enzyme (UDP glucuronate transferase). Under laboratory conditions, the pyrethroids are in fact highly toxic to bees (LD50 = 0.01–0.3 μg/bee). Under field circumstances, however, the dangers are considerably reduced, because the bees are conscious of pyrethroids already at much higher dilution, and attempt to avoid them (repellent effect) . This even applies to the highly toxic deltamethrin (25) . Among the species which are especially endangered by pyrethroids are fish. Due to the high lipophilicity and their related low water solubility, the compounds are rapidly absorbed through the gills and make their way readily into the fishes' bloodstream. Even at low concentrations, they tend to accumulate to a certain extent. But here as well, there is a distinction between laboratory and field conditions. Since the lipophilic pyrethroids are to a great extent absorbed on aquatic plants and suspended matter, their concentration in natural waters is substantially reduced . Nevertheless, pyrethroids are highly toxic to fish and other aquatic life forms. This must be kept clearly in mind before use near waterways or in the vicinity of garden ponds. In the course of the last 40 years, numerous pyrethroid insecticides have been developed, which differ in their chemical (half-life in soil), physical (volatility, solubility), and physiological (knock-down capability, lethality, specificity with respect to species) characteristics  (see Figs. 22 and 23). The great product diversity can be explained by the fact that the manufacturers attempt to optimize their products by mixing the pyrethrins and/or pyrethroids in their products tailored to the various proposed applications. Figure 22. Additional modern pyrethroids. Agribusiness has profited from this development, but not agribusiness alone. Long-term stable pyrethroids are today the only (!) insecticides with which insect nets can be impregnated over the long term. These constitute the most effective weapon in the battle against malaria. But households have profited from the new pyrethroids as well. This will be demonstrated with the example of moth control. Figure 23. Household products based on pyrethroids. Clothes‐ and fur-moths subsist on wool, hair, and feathers. They are among the rare insects able to digest structural ("scaffold") proteins like keratin. It is little wonder that they feel at home in our clothes closets or carpets. In the closet, we use moth papers impregnated with a relatively volatile pyrethroid such as transfluthrin (31). This makes it unnecessary to treat each individual item of clothing, although moth papers in a wardrobe should be exchanged regularly. When, in retrospect, we reconsider the history of pyrethrum all the way from an attractive wildflower to its modern synthetic derivatives, one observation still astonishes. For over 150 years, consumers in the industrial world in many cases still rely on an insecticide employed in China and the near east for many centuries: dried, pulverized chrysanthemum blossoms. We continue to profit from the outstanding toxicological profile of the complicated active ingredient present and its synthetic derivatives. They are orally non-toxic and neither reprotoxic, nor teratogenic, nor mutagenic. Paul Mueller, the discoverer of DDT, was quite right when he observed : "The nature lover is seized with reverent wonder when he sees how plants succeed in creating from carbon dioxide and water, with the aid of a few natural salts and sunlight, such complex substances as pyrethrin." The authors are grateful to Dr. Sabine Streller, Free University of Berlin, Germany, for her suggestions and critical review of the manuscript, and to Dr. P. Winchester, Free University of Berlin, for linguistic assistance. Professor Klaus Roth of the Free University of Berlin, Germany, is a permanent author of the Focus Section of ChemViews Magazine. Elisabeth Vaupel studied chemisty, biology, and history in Mainz, Freiburg, and Munich, all in Germany. She is historian of chemistry at the Research Institute of the Deutschen Museum in Munich, and teaches history of chemisty at the University of Stuttgart, Germany.